← I want to care. How to help? You know, you can only eat so many sugary donuts before wanting some salty pizza. In fact, even though they’re really yummy, you might even feel a little tired of donuts if you eat too many at once. 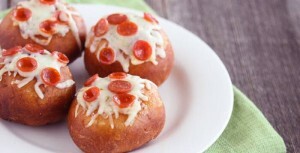 Besides, pizza tastes extra delicious when you haven’t had any for awhile, and donuts are of seemingly endless supply. But maybe, eventually, after indulging in pizza til you are satiated with all its saucy, cheesy glory, you might just find yourself craving the sweetness of a donut again. It would be a shame if you could only have one or the other. Enter your email address and subscribe to my blog so you'll never miss a post! Radhika Ramana · Wife. Mother. Artist.